Convicted Norwegian far-right mass murderer Anders Behring Breivik has threatened to go on hunger strike “until death” over his “deteriorating” living conditions, in what many would consider something of a resort in terms of prison life. 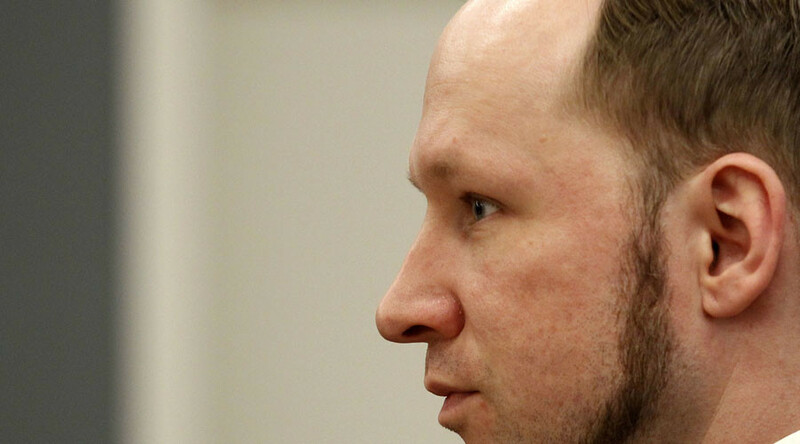 Breivik was sentenced to 21 years in prison for unleashing in a series of attacks against Norwegian civilians on July 22 2011, mostly teenagers. Initially he killed eight people by setting off a van bomb in the government quarter in Oslo, and then shot dead 69 participants of a Workers' Youth League (AUF) summer camp on the island of Utoya. During his sentencing Breivik claimed that he did not recognize the legitimacy of the court, refusing to accept its decision. He is currently confined at a maximum security Skien prison, south of Oslo, conditions of which he continues to detest. In an open letter, the mass murderer complained, that since beginning of September, he had been kept in a single cell, isolated from the rest of the inmates. In addition he was only allowed to leave for one hour each day. Breivik also wrote that he was being given less time with prison staff, with communication often taking place only through a small gap in the door. “Unless the 02/09/15 escalation [sic] is reversed, I will eventually continue the hunger strike until death. I can not stand any more,” he wrote to Norwegian and Swedish media. The convict, who is studying political science at University of Oslo says that his living conditions undermine his attempt to pursue his courses. “The decision about the drastic deterioration of prison conditions forced me to drop out of my studies, which in turn means that I will lose my place at the University. The studies, which were made possible for only thirteen full days before the Minister of Justice put an end to them, were the only thing I had,” Breivik wrote. The inmate’s lawyer, Oystein Storrvik, who is now engaged in legal action against the state over Breivik’s living conditions, told the media that Breivik’s conditions were indeed deteriorating, and that the defendant will go on hunger strike. This is not the first time the mass murderer has complained about his prison conditions. Back in November 2012, Breivik wrote a 27-page letter to the prison authorities outlining his security restrictions and claiming that the director personally wanted to punish him. Among the complains listed were that he is not given candy or served hot coffee, describing his prison conditions as a “mini Abu Ghraib,” the notorious prison in Iraq.